If you ask me why I will put myself through the torture of competing in the Texas Water Safari for the third time I will tell you it’s because I love my son (and my daughters and wife who share the safari experience), because I enjoy adventure, but not necessarily because I love canoeing. 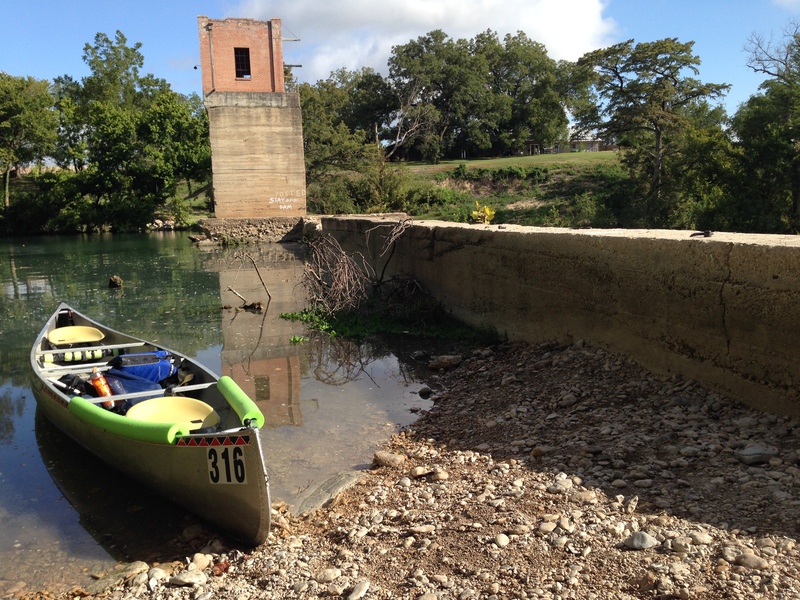 Canoeing can be torturous, especially paddling the 260-mile race course from San Marcos to Seadrift. Anything can happen along the way, and usually does, to humble you and make the task even more arduous. But, that is ultimately what makes the Texas Water Safari so appealing. It’s hard … very hard! The first annual Texas Water Safari was held in 1963. 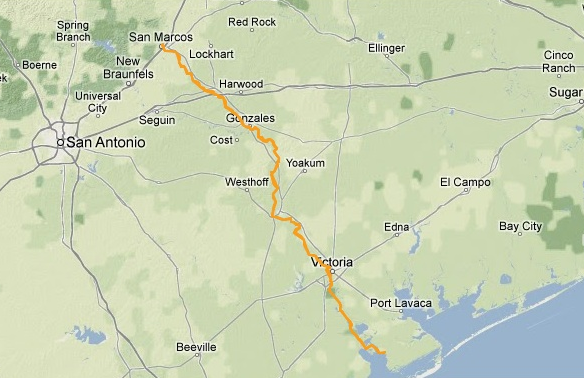 In those days the race was a grueling 500-miles from San Marcos to Corpus Christi. Fifty-eight boats and 120 participants competed in the first race. They battled the same things that teams today must face — currents, flat water, rapids, portages, heat, mosquitos, snakes, alligators, wind, waves, sleep deprivation, exhaustion, and more. The picture of the first finishers tells it all. Lynn Maughmer (with canoe) and Jimmy Jones (lying on the beach) were the first to cross the finish line in boat 102 in 1963. 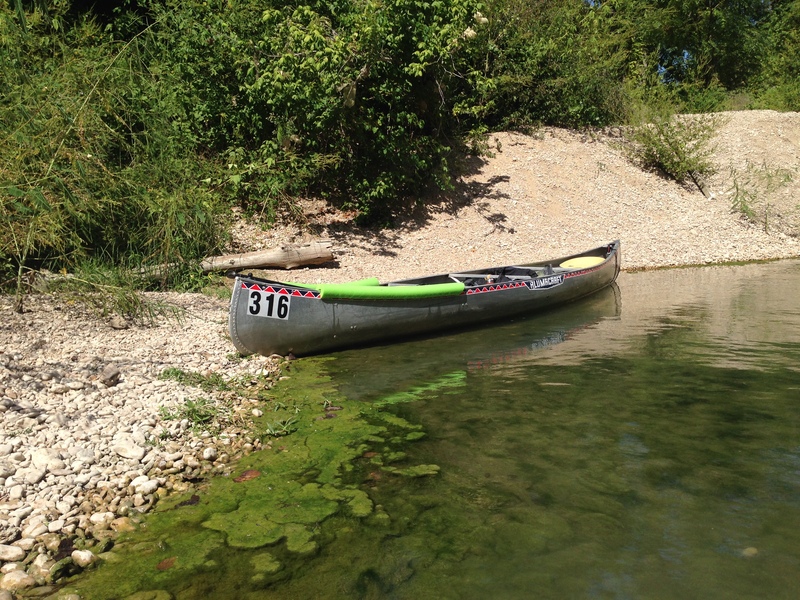 Although today’s TWS is only 260-miles (did I just write “only”) it is just as grueling and designed to whip you every paddle stroke of the way. That’s why teams must do three things in order to compete: train, train, train. Beyond the physical preparation, however, there is the mental preparation to consider. In some respects, doing the Texas Water Safari is 90% mental with the remaining 10% being mental as well. It’s not enough to be in decent shape to paddle the race course. It takes a 100% mental commitment to not give up, to paddle through the pain, and to persevere to the end. Doyle and I each took vacation time today to do our second training run in preparation for next year’s TWS. We departed Katy while it was still dark and drove to City Park in San Marcos. 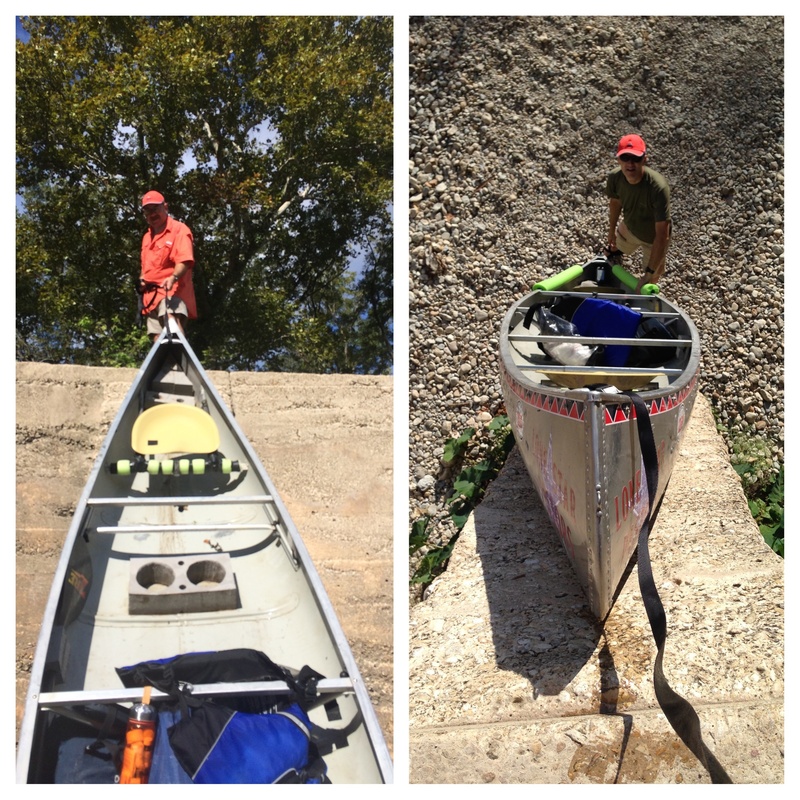 Our plan for today was to paddle 26-miles from City Park to the Highway 20 bridge at Fentress. I’m happy to say that we paddled at a good pace in our Alumacraft canoe — not the lightest boat in the fleet but certainly a sturdy one and well-suited for the safari. This is the same boat we paddled in the 2013 TWS. Our plan is to do at least two training runs each month between now and June of next year. While we wish we could get out on the water more often than that, we are determined to make every training opportunity count. Since we have both finished the TWS before, we are signing up with our eyes wide open. We know what to expect. We know it’s going to be hard. But we will give it our all and hope to reach the finish line once again. We enjoyed our time on the river today and know that on the day of the race we will not get to come home after only a few hours of paddling. Knowing that anything can happen along the way to knock us out of the race, we are nevertheless determined to paddle the estimated 250,000 paddle strokes that will take us from San Marcos to Sea Drift. After all, it’s “only” 260-miles. I like very much to hear your adventuress with the Texas Water Safari. And many others adventuring you’re doing in whole world! Thank you, Mortuza, I remember our good adventure taking the good news to the people who live along the Brahmaputra River in Bangladesh. That was one of the best adventures of my life.